We get a lot of case study requests around here these days. I’d love to answer all of the questions and write articles about a good chunk of them. But even a retired man has his free time limits, which is why I am glad to have Jacob on my side doing some of the research and analysis. I’m interested in moving from the east coast to the west coast. I am determined to do it and we live a pretty Mustachian life. I am not sure how to convince my husband to “early retire” but I think if we do this move and leave the high cost-of-living area we are currently in, we could afford to move to Portland or Seattle. It’s not a big city but I am pretty happy in a smaller town. Husband is currently working and I am staying at home. We have two kids ages 3 and 1. I’d also like to have 1 more kid so my reasoning for staying put potentially where we are another 2-3 years is having our third kid while covered by employer provided insurance versus buying our own. So I think a 2-3 year time frame. In 2013 we grossed $200k. We lived on around $65k including our very expensive mortgage! Our house is a $600k (what we paid) 3bd/2.5ba townhouse at 1600 sq ft in an excellent school district. It’s worth more I’m sure – on our street last year alone 2 townhouses sold in bidding wars above asking price first week up. We owe ~$390k and bought in 2005. I think conservatively in a couple more years $250k is what we’ll walk away with if we sell. We really live on about $30-40k without our mortgage. We lived like graduate students until we had kids and continued the lifestyle and haven’t changed much since. However I think a better long term strategy would be to sell our home and move closer to our families on the west coast in a cheaper area. We could use our home equity to buy a home with cash and then we wouldn’t have to worry about finding high paying jobs. We could semi-retire and find work if we wanted. My only worry is saving for college and retirement really. If we moved to Seattle we could do a prepayment of the undergraduate at University of Washington. We have ~$10k and ~$5k saved for our kids respectively. But I’m not sure we have enough saved. I know without a mortgage we are looking at not needing the $30k/year we pay now! So MMM I’d like help. I’d like to convince my husband we can do this and “retire” move to Seattle or Portland or any cheaper area. I think it’s a proposition worth investigating. I think our quality of life would be better. My husband is a super financially conservative guy though, and has been telling me we need to save more, the kids don’t have enough for college, etc. And that we can’t afford the 3rd child I want and he does but isn’t sure about financially. Seriously I feel like we’ve made a lot of frugal money moves and we should have the 3rd child and we should also move because it would be the best idea to get out of the area. If it matters, my DH actually loves his job. That’s a BIG!!! sticking point. He says he’s not ready to retire but I’m hoping to prove to him our life outside an expensive area might be worth doing even if it means changing careers. I find it incredibly stressful that we are in a townhouse, unable to really afford a detached house and we make a substantial salary, no yard, no garage, sharing space, cramped, multi-level living, with terrible traffic (takes 30 minutes for our 8 miles to work). And for us to buy a single family home we either go up to $750k for a 3bd/1.5ba cape that needs work or $1M+. I feel like we would be drowning, unable to save, house poor, and I’d be forced back into working to just keep up. We are 34 and 36 I forgot to mention earlier. If you read this far wow. Thanks, I would really like to be a case study, please help! This leaves roughly $900,000 in potentially productive money for future use. Financial Independence in 5 years – I think that if we stay put we would hit this for sure within 3 years. Potentially retire whenever DH wants. Let’s take a look at the details of making the move West, then take a look at how that would affect the family budget. It sounds like you’re set on moving to either Oregon or Washington, and I don’t blame you! As a lifelong resident of the Seattle area, it is one of the greatest places on earth, especially as a place to live. The weather is mild, the food is wonderful, and the land is absolutely gorgeous. You’ll enjoy the fresh air, many bike-friendly cities (including #10 in the U.S. according to bicycling.com), an endless amount of hiking trails, and the absolute beauty of the Northwest terrain. As for housing, I recommend moving at least 15 – 20 miles OUTSIDE of Seattle, as your housing prices will cut in half, and you’ll still have great access to the city. If you scour the area, you can still end up with a decent house for $250,000. I have a family member who just closed on a house in the Monroe area for $239k, perfect size for a family of 5. Just hop on Zillow.com to find some average prices in areas you would like to live. I recommend Bothell, Lynnwood, Snohomish, Monroe, Shoreline or South Everett. MMM Note: Although I’ve never lived in either place, I have made a few visits and I’d personally choose Portland over even Seattle. Why? It is smaller, less expensive on average, and I just feel that the dream of the ’90s is alive in Portland. Bellingham, WA is also lovely. Also, with your current savings rate so high ($65k spending on a $200k income), within another year you will have far more saved anyway, allowing more for your housing budget. Plus, you’ll probably continue to earn income after retirement, making all this budgeting sort of superfluous, but still useful as a psychological push to get you to make the jump. If you start with your current $900,000 net worth*, and set aside $275,000 for a house and related moving costs, you will have about $625,000 available to fund everything else. As MMM has stated numerous times, the math behind early retirement is shockingly simple. Total Income $4,958.00 $2083 Plus many thousands currently going to tax-deferred savings. HOA $210.00 $ - Stay away from HOA. Natural Gas $100.00 $50.00 Mild weather in beautiful WA state! Electric $200.00 $50.00 MMM household uses about $25 worth per month. Read the article on Saving Electricity and enjoy the savings! Internet $85.00 $46.00 Comcast high speed in WA is $39.99 for 3MB internet. You can also call and get deals every few months if needed. Cell Phones $130.00 $60.00 Switch to Republic Wireless unlimited everything plan for $25 per month, and you're at less than $60 after taxes. Car/Life/Home Insurance $250.00 $250.00 MMM Note: These could all drop substantially in retirement as well. Lower-cost house and cars, no collision/comprehensive required, and no life insurance is needed for financially independent people. Medical $400.00 With no employer-provided insurance, you will need an individual health plan. Healthcare.gov for plans to cover your family. Restaurants $200.00 $100.00 You're now retired! Live free and enjoy more gourmet meals at home with family and friends. $100 should cover a few monthly date nights. Gasoline $200.00 $50.00 You're retired, with commuting and other petroleum-wasting greatly reduced. Enjoy riding bicycles everywhere! You have put yourself in a great position to retire NOW if you wanted to, if you move to an area with houses in the $250,000 range and below. The only issue I see is getting on the same page as your husband. It seems he is perfectly content makes tons of cash and living a minimalist lifestyle, but you are not. So here’s the big question; What if your husband doesn’t want to retire? All of our correspondence suggests he is perfectly happy with your current lifestyle, with the caveat that you “don’t have enough money to retire yet.” So my suggestion would be to ask that very question; “How much is enough?” You can show him this post and see if he feels comfortable with it. You have enough. And gently remind him that retirement means doing WHATEVER HE WANTS with his time without the worry of needing income. If that includes continuing to work at a job he loves, that’s totally in the cards! * MMM Adds: Wondering how to retire early and still get access to 401(k), IRA and other retirement assets without penalty? You might take a look at this article, and then also head over to say hello to the Mad Fientist, who continually impresses me with his ninja-like retirement account analysis skills. On the other hand, you don’t have to know all this stuff right away to rapidly build financial independence. For that, you just need to work hard, spend less, ride a bike, and watch the additional digits start tacking themselves on to your net worth. Keep reading books and learning as you do this, and you’ll know plenty by the time you get there. Another great case study. Sounds like they have a lot of flexibility no matter what they decide. And the reference to Portlandia was great. Very funny show. I found it after receiving a Netflix subscription as a Christmas gift (I don’t have cable). I like this case study as well – it shows the fun possibilities that the affordability of the American West can truly provide. It does, however, seem like the case study of off a bit with regard to a couple costs. First, even if property taxes on a $250K home are now $250 a month, it likely won’t stay that low for the next 25 years. Shouldn’t we bake the inevitable increases into this line to play it conservative? Second, healthcare is projected at $400 per month for a family of 4. I am assuming that this would be a high deductible plan for the family. Therefore, shouldn’t we assume that there will be a $3-4000 annually for health care costs out of pocket or is this something that Medicaid will now cover if the family of 4’s income is low enough (even though they have the savings and home equity to pay for it with medicaid support)? While I agree that there should be some budget for unexpected medical care, the fact that you have a high deductible plan does not automatically mean you will spend $3,000 – $4,000 a year out of pocket. That’s sort of like saying if you have high deductible car insurance, you’ll pay $1000 a year out of pocket. One is probably more likely to use their health insurance rather than car insurance, but the principle is the same. The only other thing I can see missing is car repairs and maintenance… That is assuming they will keep these cars. Also they won’t last forever so at some point they’ll have to buy a (slightly) newer car, which will also cost “something” which should be factored in I feel. Apart from that another great case study from Jacob, and this family look on the brink of reaching FI for sure! Depending on what they really like, their flexibility may be improved even more if they would live even more rural with less expensive homes (Maybe $150k range). If I were them, I would maybe work another 2 years with that income and then move to a more rural area with lower home prices. They would never have to work again if that is what they desired. Having read her emails, I really get the impression that their house and its location is the actualy problem. any entertainment at all? music? theater? there is a lot free but not all of it. clothes every now and again even if thrifted? $ for needed things that break & can’t be fixed? a small gift or two or even the supplies to make some? travel? even if for a campsite? So, any suggestions for creating a real & fabulous budget so that our FU $ bucket is accurate and will truly last? We have our current budget (with the MMM case study categories as well as those above) and are aiming to get it to around $2500/month but don’t want to be missing things. Even if the above “additional” categories are small amounts, they do add up. The key to success in my opinion is not being able to predict spending in advance via a budget, but just to evaluate everything at the time of purchase and make sure it truly aligns with your goals and values. For me, without any planning or restraint the spending ends up at $25,000. If we needed to do so, we could cut this way down. But the real fundamental thing down at these lower levels of spending is: drive less in an older, efficient car, use less energy, spend time in local Nature, and cook your own food. If you have special needs yourself, you could add them to your own spreadsheet. MMM summed it up well. And just to add, the goal of this case study was to see if they could retire now. With the above changes, they were very close, but I recommended two more years of work to build in the safety margin to ensure their FI was secure. The budget above doesn’t detail every possibility of their lives, but as MMM said, has some fat built in that can be shifted around and adjusted as the needs of life adjust. This is on the end-all budget, but rather a beginning snapshot of what will be a pretty rockin’ early retirement. I wasn’t ready right now but this is a 2-3 year plan. Wrote in to ask if we could do it and what should our plan be? I was getting ready to rant about how Seattle is NOT a cheap place to retire, until you beat me to it! Getting outside the city is a good plan, although that’s true anywhere in the country. You might want to check out Edmunds, a small beach town North of Seattle and Vancouver, WA, just across the bridge from Portland. People in Vancouver have no state income tax and buy all their stuff in Oregon with no sales tax. It’s like the perfect crime! It’s extremely great to live in WA but shop in Oregon. For people who want to live in the Pacific NW, it’s an optimal strategy. It’s perfect because it’s not illegal. 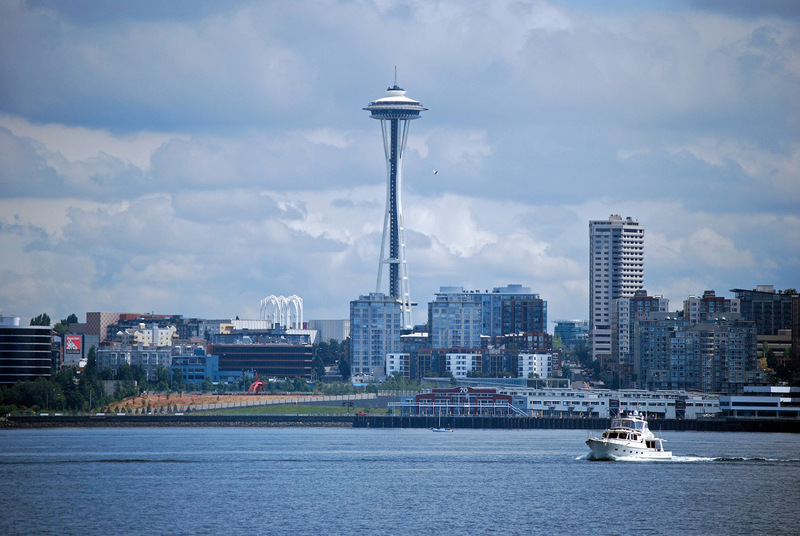 Seattle is not a cheap place to live, though it is a great place for high-paying jobs. OP, what it really sounds like is that you have goals that differ from your husband’s. It sounds like (as an outside 3rd party) you would be fine with earning less if you had a little more space and could afford a third child. It sounds like your husband really wants to stay with his 200k job, commuting in the horrific traffic (I’ve lived there), and just stop with 2 children due to financial concerns. It’s plausible for you to retire in 3 years with a reasonable safety margin. What’s more important is getting on the same page as your husband and have goals that align, so that you can agree on where to go from here. It’s been a while since I lived in Portland, but every so often WA used to crack down on “border crossing” to purchase stuff. I imagine they don’t have the manpower to do that anymore. I third the suggestion of living in Vancouver and shopping in Portland. I’ve lived in PNW my whole life, and we are contemplating this very move now. Also, if you do choose Seattle or it’s suburbs, you should be aware that it is culturally oddly common to drive long distances to meet friends or attend events. My sister lives in a Seattle suburb, and when we go bar hopping it is 20-40 minute drives between each place! It is so odd to us, because there certainly are places closer. Obviously, you will choose how far you’ll be willing to drive, but just be aware that the perception of what “long distance” means is different. I would say if you must pick one of the two, pick Portland for sure. If you don’t mind it’s “hipster-ness”, it really is a fun city. Will look at both places. Will have to take another trip to verify which one suits us best. > It’s perfect because it’s not illegal. At the risk of being pedantic, this is not actually true. WA has a use tax, and if you buy something out of state and bring it into the state, you are supposed to pay the use tax at the same rate as the sales tax (with credit for any sales tax you paid in the original state). In practice, though, I’ve only heard of this being enforced in two situations. One is big-ticket items like cars and boats — easy for the state to track because they require registration. The other is for businesses. If you have a business in the state, you will sooner or later get an enforcement letter reminding you to pay use tax or else. This is all true. You can most likely get away with purchasing most things in OR without worry, but I wouldn’t try to buy a car. You might as well go ahead and buy the car in your own state and save yourself the hassle. However, I know that WA has local sales taxes, which means the rates are different in each county and/or city. You could choose to buy a car from an area of WA with lower tax rates to save some cash. We are considering a move to the Pacific Northwest if Mrs. DB40 can get a professor position up there. Are there universities/college town combos you’d recommend, Pretired Nick? In Tacoma there is the University of Puget Sound and just south of Tacoma in Spanaway (cheap housing I think) there’s Pacific Lutheran University. Evergreen College (where we’d all like to teach) is in Olympia. Good Luck, also you might consider a private high school rather then a college. That’s what my husband did and we had a great life there with all of our summers off to go camping and hiking. If you are looking for Universities but trying to stay away fromt the cost of being in Seattle or Portland I would look at Western Washington University, Bellingham, WA or University of Oregon, Eugene, Or. Hey DBF! Yeah, Portland is a good option for you, but I think you’d really like Bellingham. Definitely worth checking out. There are good schools in Tacoma and Olympia, but you need to like lots of RAIN to live there. For really cheap living, you can look at eastern washington as well, but most of us Seattle folk get frustrated by the red state mentality there. Yeah, most people don’t know only know generic “Seattle” and associate it with downtown, which is definitely not cheap by any means. But the “great Seattle area”, as you know, may afford some better possibilities. We’re in Bothell, and have family in Mill Creek, Monroe, and some other areas around Seattle, and housing prices are definitely affordable. Of course, research and negotiating well go a long way into making a home affordable as well. But something people miss the point is it necessary to live so close to portland or seattle if you aren’t working anymore? Thus why as the CS person would like to consider farther out suburbs. Having grown up in both Edmonds and Shoreline, I can confirm that neither of them are exactly “cheap” areas, however they are certainly more affordable than metropolitan Seattle. Also worth mentioning, if you love nature, there are countless cities near the Cascade mountains (including Mt. Baker, Mt. Rainier, Mt. Adams, and Mt. St. Helens) that offer amazing scenery and low cost of living, while being a short (30 miles or so) drive from a Costco for groceries. Jumping the border to Oregon to skip sales tax, while technically illegal, is common, and I’ve never heard of someone being audited. Typically the IRS doesn’t care, it’s just too small to worry about. Ever bought an item online that you didn’t pay sales tax for, but your state has sales tax? Same thing. Technically you’re supposed to report use tax. No one does. The standard deduction factors in an average amount for sales tax anyways when preparing your taxes for free with TurboTax / TaxCut (in WA at least). Source: I’m an accountant. Of course the IRS doesn’t care if you lie on your state tax return, that would be the responsibility of your state’s tax collecting agency. Some people prefer to follow the law even when inconveient, so they do report use tax. Source: I’m a (somewhat) honest person. The state of Washington has a use tax designed specifically to tax items used in WA, but purchased out of state, so it’s actually not okay (from the IRS’ perspective) to do the usual cross-the-bridge purchasing. Of course in the comfort of your own home, your mileage may vary. The small beach town is Edmonds. With an O. :) Only move here if you are friendly and don’t mind very slow drivers. I live in Portland and know many people who do this. Bear in mind that if you must commute to Portland from WA daily there are only two bridges over the Columbia, and they are woefully inadequate to handle the traffic. (Although both have bike lanes :)) If they are both retired, not so much an issue, but just for any others out there thinking about the same move. Also Vancouver, WA looks like Anytown, USA to me with its strip malls and big box stores. There is much less of that in inner Portland. Personally I’ll pay a little more to live in Portland. Thank you. I am the CS person and will definitely consider other towns. Is there something particular about the actual employer your husband has or is it the field he is working in? It seems that if he still wants to work, maybe he could get a similar job on the west coast. I am one of the lucky ones too who loves his job, so I understand not wanting to retire too early, but I also want to gain financial independence so instead of working like I don’t need the paycheck, I can work even though I don’t need the paycheck. It seem like that would be more enjoyable. Retirement = Financial Independence which means you can do whatever you want including working. Maybe the husband could look and interview for a job near on the West Coast. If he found a job that he liked, then it seems like all their problems would be solved. Just spending time with those kids could be enough to fill their days. After my wife and I reached FI, we have really enjoyed the extra time with our kids. The time spent is different too. You can really focus on the kids and not be distracted with thoughts and worries of work. It will be quite an adjustment from a full time job to full time parent for the guy, if he semi-retires, especially if a third infant is soon to enter the picture. I work with a woman who comes in to work on Monday with a huge smile on her face. The first thing she always says is how relieved she is to be back at work and have the kids at daycare. I hope that the case study OP finds a way to implement the changes in steps (like spending more time in the area they want to move to, having the husband take some stay-cations to be at home more) so there isn’t any resentment if things change too far too fast. Sounds like an exciting plan, but time is on their side if they find it taking 3-5 years to implement. Has been looking since 2010 and nothing. Been on about 1 interview a year. I preface my comments, with I don’t live in America.. so my understanding of tax law is restricted to Australia’s system. I will assume for the purposes of my comments/questions.. that the systems are similar. However, take everything I say with a grain of salt for this reason. Why haven’t you paid off your mortgage. If you earn $200,000 how much of that is left after tax? My calculator says, without any deductions, you would have $140,000 a year to live on. If husband wants to stay put for now.. well, I would suggest pay off the mortgage. In the meanwhile, get an investment property in the area you want to live in in the west. In that case you live off say $40,000 and the rest goes into the mortgage. If you get an investment property, then you will get tax back from your incomes, and be able to use that to help pay off your current mortgage. Say that is $100,000 into the mortgage each year. I just put that figure into my banks mortgage calculator. They say that you could easily pay off your mortgage in 5 years. And then you could put aside money for your kids college fund. If the kids go to a local university, and don’t need accommodation, then it is about $10,000 a year. Well one more year of work and then you have the university educations saved for. That puts you at 6 years. Then you can either sell, or put all your money into another set of investments. Using cloth nappies with a baby also saves a fortune (particularly if you don’t use a dryer). Now that is based on not moving. If you are mortgage free when you move, then you would have quite a large sum when you move. I realise you are saying it is stressful the commuting. But if you don’t work, do you need to go out in that traffic? does it stress husband out? We are similar age to you guys, although not on as a high income. My husband by necessity commutes 2.5 hours a day to work. for the cost of your property, we would get a 1 bedroom studio apartment near his work. It is not only that I can’t convince him to leave his job, but there just aren’t any jobs closer. So he does his hobbies on the train. He would be happy to leave his job in 5 years, when we reach financial independence. In the meantime, we live on a similar amount to you about.. $40,000.. although we have no mortgage, so all of our extra income goes into investments, so when he retires we have a couple of properties and some shares that we can live off the proceeds of. I’m guessing they aren’t paying off the mortgage because the interest rate is so cheap and investing elsewhere will accrue more money. They are fixed at 2.625% for the next 5 years if it’s an arm. I currently have 2.5% for the next 14 years, so I put my money elsewhere also. I know that is unheard of in Australia to get fixed mortgages so cheap. Though, I still think about paying off my mortgage just so it’s gone. Even state Universities here are a lot more than 10k/year now, so will be even more by the time their kids are in school. And we don’t have anything like HECS either. They don’t sell Thermomix in the US. I don’t know why. Stopped around 2009 evidently. You can get them converted/shipped from Canada, but most Americans have never heard of them. Vitamix is popular, though not nearly as versatile. Totally agree on cloth diapers. They saved me a mint. We don’t live on $40k we live on 30-40k without the mortgage. The mortgage itself is $32k/year. So we are around $65k/year. Now that leaves us with $70k hence the savings into the 401k, college, and IRAs. We haven’t paid off the mortgage because we weren’t sure we are staying put. So it’s possible we could pay off $20k/year but we’ve been saving it mostly. I’m familiar with both cities so I put some thought into a response. The key is to decide what kind of lifestyle you want to live. If you are content to live 20-25 minutes outside the city then Seattle is the place to go. I love both cities, but would give Seattle a slight edge for its natural beauty, and a slightly more mature vibe than the hipster mecca that is Portland. If you want to live a semi-urban lifestyle that includes walking and biking to most of the things the city has to offer (I’ll go out on a limb and say this is what most mustachians are looking for) I would say Seattle is out of the question. It is just way to expensive. Portland is doable, but you would want to save approximately 1 more year to save enough cash to buy the kind of house I’m guessing you want. I’d say this is worth it. Outside the city period. I have no desire to be working in the city if possible. What about somewhere else entirely? I think it’s funny you describe Seattle or Portland as smaller towns- maybe you’re not willing to go to an actual small town. But if you are, what about the east coast – in Canada? Totally different than east coast US, it’s smaller, laid back and ridiculously inexpensive. You could get a beautiful waterfront house on the Bay of Fundy in the mild climate of the Annapolis Valley, NS, where everyone is friendly and you’re just a couple of hours from Halifax, for less than $250K. Become a Canadian citizen and your healthcare is free, and your kids’ college tuitions are much cheaper than the US. LOL don’t need too already married a Canuck. But we prefer to move out west where our families are. If Vancouver wasn’t so expensive it’d be a top choice. And we’re considering college in Canada already. We got the kids citizenship just in case. Another Seattle-ite. Cities are much alike — you’re going to find expensive houses and long commutes here too, if you are still planning to live in the urban/suburban area. Though you’ll be able to find houses cheaper than 750K. There are always neighborhoods in the suburban area that are cheaper to live in (though not as nice) — Totem Lake in Kirkland, Coal Creek in Bellevue, Renton… I live and work in the suburbs, and have found housing here a bit cheaper than Seattle proper. What line of work does your husband do? I’m guessing he could find another challenging, fulfilling job out here (http://en.wikipedia.org/wiki/List_of_companies_based_in_Seattle) — but that would put you into the land of commuting and expensive houses. Do yourself a favor and don’t try to commute to downtown from Monroe or Mill Creek or Auburn where the cheap housing is. Unless you like to sit in traffic for an hour. If you don’t need to work, just want a beautiful town in the Pacific Northwest, check out Bellingham, WA. I went to college there. It’s right on the water with lots of mountains around, an hour south of Vancouver BC / hour and a half north of Seattle. Good co-ops / natural markets, bike-friendly, a lot of local pride. Just nowhere to work. Another option is one of the San Juan Islands — Whidbey Island seems pretty cool. Heads up though, island folk are a little bit different, I’d visit first to see how you like it. PS, don’t do a prepayment at UW! Tell your kids they’re going to need to work hard and earn merit-based scholarships if they want to go to college :) UW also seems to have a good system with transfers from the community colleges that would let you save a ton of money. Plus, not every kid wants to go to a college with 40K other students — other state schools are much smaller (e.g. Western Washington University in Bellingham has about 15k students). Yes if the husband is going to try to work in Seattle there are lots of very high paying companies but the housing in those areas is expensive. The commute from cheaper areas is a killer. We currently live in an expensive area so we can bike to very high paying work. I’ve done the math on moving to a cheaper area and getting a new job and it just doesn’t work out around here. But our post FI plan is to move to one of those areas. MMM, what is it that makes Portland cheaper/better? Agree on not using the pre-pay at UW, but for different reasons. The GET program (Guaranteed Education Tuition) is Washington state’s 529 plan and indexes to paying out at the cost of tuition at state’s most expensive public school (UW – Seattle, tuition ~$12k). You pay a premium (today’s price: $17k for 1 year) and hope to make up the deficit over time. Wife & I have 1 year of GET credits, but chose to invest in Utah’s UESP 529 plan for the rest of our kids’ tuitions. Either program, and many other 529 plans, can pay for school in any state, private or public. We were scared off from GET by the constant politicking and unfavorable prices. GET was a great deal 5-10 years ago, but WA politicians got panicked as UW raised tuition and the Great Recession hit. This is not how college works now. My school offered FOUR merit-based scholarships (if I recall the number correctly), for a freshman class of something like 1000. This is not a sustainable strategy for attending college. I wish merit scholarships were easy to get. My child is an excellent student and aced the ACT. Almost all the scholarships available here are need based which sure didnt pay off for him since we have considerable assets. We will be writing the checks full for engineering school despite him being a great student. Unfortunately, merit scholarships are kind of a myth. There are a few out there, but most are small and good state schools don’t generally have a lot of free rides to give out. I’m not saying that the kids shouldn’t contribute to their own college educations, just that magical thinking doesn’t help anyway. I would agree that you shouldn’t count on them, but they are there or can be pieced together from multiple sources. I got two recurring merit based scholarships (one from the honors college, one from my highschool for people who attended Penn State), and several smaller one time scholarships that combined paid for 90% of my degree at Penn State University which is highly ranked for engineering. International students can also work on campus. Darn I thought the prepayment ideal! And I already checked out Bellevue, Redmond and thought pricey for retirement but Issaquah, sammamish, snowqualmie perfect. I’ve never heard of prepayment for college but it doesn’t sound like a good idea at all! I would have been really annoyed if my parents took the choice of school I went to away from me. Especially considering your kid may not want to go to college at all, or may be an academic superstar or a basketball player and get free tuition somewhere else, or may join the military and go to a military college. And not knowing what they’ll major in there may be schools that specialize in what they want, or that school may not even offer it! The prepayment program (at least in WA) doesn’t lock you into a specific school. It allows you to set aside money whose value is indexed to the tuition cost at a specific school (in this case the most expensive UW campus). But the money can be used at basically any accredited school. So, the insurance, subsidized or not, is only one part of the annual cost of the health spending line. Sounds great though – good luck! If they did retire early and live off of investment income or part-time work, any health insurance bought through the Obamacare exchange would be highly subsidized. If they stuck with the $2,050 Jacob has suggested in this post, their insurance would probably even be free. From a financial point of view it sounds like they’re ready to make the necessary move now and hit the “Early Retirement” lifestyle; but I would think that if he really loves his job then that might be a bigger point than anything else. In today’s world you hear most people say they hate their jobs and very few saying they love them so for him the idea of “Retiring” might be more scary than the financial aspect of it. Now my question based around the thought that leaving the job you love might be the problem and not the finances: Have you considered opening a business related to the husbands line of work? This might keep him interested initially and he could slowly ease himself into retirement? Actually it is. We discussed it more last night and DH felt that not working would bore him. He wouldn’t know what to do with himself. The point of retiring is really that you can do anything you want – like open a business, as suggested above, or do great work to make the world a better place through volunteering, etc. He could start his own charitable organization, or go into politics, or invent things, or become a painter or do metal sculpture or build furniture or start a band or … etc., etc. I don’t know what his skills/current job are, but surely those skills could be put to use doing something interesting and cool on your own terms out west or wherever you end up. Retirement isn’t about doing nothing. It’s about being free to do anything. Perhaps I need to discuss more with DH about retirement. I agree but starting a business can take more capital than we could spare. I can totally understand that situation, I’m not sure I could sit around and do nothing. But the question is what he was doing – it doesn’t have to be a job necessarily. Starting up a new business would keep you busy too. I don’t know what sort of business we’d do. He didn’t seem interested in many hobbies or doing much. Lol. He is handy but said he wouldn’t like to buy a fixed and be forced to fix up our future home as a project with nothing else to do. I completely relate to this conversation! We’re in the DC area too (also in a townhouse, good times!) and we talk constantly about early retirement and what that might entail. Early retirement for me would be awesome – I would come up with a million projects and never be bored. BUT – my husband likes his job and is the kind of personality that needs structure. Since I am the primary earner of the family, lately we have been doing what-if scenarios that involve ME retiring early and DH continuing to work for a while longer, but cutting down to 4 days a week (he already works 3 days a week from home). Also I will note that I would be miserable as a stay at home mom with babies/very little kids, so this could only happen after kids are at least 4-5 years old and more self-sufficient. I think that everyone’s plan can evolve in different ways, and for people to be happy, it needs to take into account how different personalities achieve happiness. Something that bothers me about this analysis is that it makes no allowance for market volatility, and yet 3 of your biggest costs (assuming you have a 3rd child) will be several years in the future. I feel like you need a significant safety margin to allow for a potentially large market downturn between now and your kid’s college if you are planning to retire in the next couple years or so and live on 4% withdrawals. Run one of the Monte-Carlo simulations you can find at various investment sites and see how well this works out for you. I suspect you’d find a significant risk of not being able to fund college and meet retirement goals simultaneously, depending on market returns over the next 15 years. I think if your husband loves his job, you should trade the 3rd kid for 5 more years where you are at, with a commitment to move thereafter. Or something like that. In other words, tough it out for a few more years, so that you can then have maximum financial flexibility and breathe easily. But have the kid now; it will be easier that way (better tax/aid breaks while in college). It is hard to put a price on a job you love, and there are no guarantees that he’ll find another one as good out West, even if here were working in the same field and role. (On the other hand, maybe he’d find one he likes even better!). I think that you have identified an under appreciated issue. Certainly events of the last 13 years demonstrate that financial markets can have substantial volatility. My thinking is now that it is critical to have a low volatility pot of cash equal to several years worth of expenses in order to avoid having to liquidate anything when markets have cratered. I wouldn’t live a step outside Seattle (or Portland). What fun is it to be retired if you have to drive anywhere to do anything? Crapper is you won’t find a single family home for less than $500k likely. I love the PNW, but would definitely want to be part of the city- there is so much life there- and you’ll burn through that $100/mo for “eating out” going to concerts, etc in the first week. So, what I’d do is pressure the old man into asking his boss to work remotely, or start his own business consulting. Exactly. I’ve lived in Oregon my whole life, the past 20 years in Portland. You want to be IN the city. There are fabulous neighborhoods close-in NE, SE, SW… but it’s going to cost you $400k minimum. But in the end, the numbers don’t matter if only one of you wants to do this. You can’t force anyone, even (or especially!) your spouse, to change. If you talk him into this scheme, and he’s miserable, then what? Lastly, have you lived here before? Lots of people move here with big ideals, only to realize it’s not their cup of tea. (Or artisan coffee.) Maybe try an extended visit first – in January. Live in Issaquah, or Edmonds or one of the other peripheral towns that have decent (and quaint) downtowns in their own right, but also have direct bus service to downtown Seattle. The buses are just as fast as driving once you are on their schedule, and you don’t have to worry about finding parking, or having a second glass of wine with your nice dinner. This applies to pretty much any urban area. But look at what the actual impact on your transportation will be. MMM has a great analysis of the cost of commuting elsewhere in his blog. The incremental cost of a slightly longer commute can really add up if you aren’t doing it by bike and paying more to live closer can make sense in some situations. And yes, make sure you visit in January/February instead of just during the mind-blowing days in August. It is wet and cold in winter, but still mild compared to most places. On your last point, yes, I knew a couple who thought Seattle was the place to be for them, so they up and moved there — for about a year, when they decided it wasn’t, and moved back from whence they’d came — New York City. I think you’re both over-stating the housing costs in Portland. True, the most fashionable areas may have average costs around 400K for fully rennovated properties, but lots of charming and convenient neighborhoods have homes that are much more affordable – in the 250-350 range. These are areas with parks, grocery stores, and 20 minute bike commutes to downtown. . . fewer fancy pants coffee shops and restaurants, but Mustachians aren’t frequent customers in these kinds of places anyway! And Portland has a solid, expanding public transit system. I lived there for many years without a car. Indeed Anna – I find that some people get really hung up on the microdifferences between areas of an already-great and compact city. This happens a lot in Boulder next door to me, where you can see a $300,000 difference in price for an equivalent house, over the course of a 4-mile bike ride. People who are hung up on walking rather than biking experience this more, because walking is so slow. A 5-minute walking radius gets you access to about 190 acres of city. That sounds like a pretty big area, until you look at a 5 minute biking radius, which opens up 2850 acres of city. Your immediate neighborhood becomes FIFTEEN TIMES MORE POWERFUL when you hop on a bike, which can potentially save you a lot on housing. As for Seattle, I’ve been through the whole 70 mile Lakewood to Everett stretch of it, and it all looked pretty nice to me. As long as you choose a house near a library, school, and grocery store, and bring your bikes there is very little need to drive much of anywhere. Yes we’ve both lived on the west coast, grew up. We have family all up and down the coast. And we’ve no family on the east coast. My DH specifically grew up on not far from Seattle. So this move is more about us getting back closer to our families for help with kids and enjoying a different sort of lifestyle. You can find houses for much less than $500,000 inside the city limits of Seattle and not on the outer fringes like White Center or South Park. Look at areas like the Central District/Madrona Valley, Rainier Valley (which has amazing views), Othello, and Delridge/High Point. All of them have good access to transit, most have some form of view, almost all have a culture of their own or are on a decent-frequency transit line or bike route to things to do. I thought I’d weigh in from Portland. I moved here from the Northeast, and while it is clearly less expensive than where you are living, it isn’t as cheap as I was expecting. It really depends on where in the metro area that you want to live, but unless you are okay with the far-flung suburbs that lack all of the walkability and character that make Portland special, you are probably not going to find a house here for $250k that meets your needs. If you want to live in one of the closer-in neighborhoods with sidewalks, bike lanes and decent schools, you are talking at least 400k for a 3br/1 ba. 1500 sf. house that isn’t a dump but doesn’t have an updated kitchen or bath and probably has old, drafty windows and no insulation. Prices go up if you want an elite neighborhood, more square footage or more recently renovated. It is hard to really go below $300k but it is possible if you lower your standards on schools (even the good ones aren’t going to be as demanding as what you may be used to on the East Coast; the laid back West coast attitude extends to academics) or are interested in a major fixer. Or, you can get way out of town, but even then, you may find yourself constrained by the schools. Finally, and this won’t be an issue if you truly plan to be retired, salaries here are well below average and the job market is small (Seattle is a much better job market, but cost of living is higher and traffic is worse). So, while Portland is a pleasant place to live (unless you are bothered by constant grey skies), and it will be considerably cheaper than where you are living, it’s not as much of a bargain as you may think. Good luck with everything, whatever you and your family decides! The real problem here seems to be that currently your husband is happy and you are not. You both should try to do something about that but the proposed plan seems rather drastic and risky. If you feel like an income of $200,000 a year isn’t enough where you currently live, I am not confident you will be happy with an income of $20,000 a year living on the west coast. Why the west coast btw? Why not someplace closer? Well said James, exactly what I was thinking but in a nicely succinct message. She isn’t happy now, moving is not guaranteed to make her happier. I actually can relate to what she is saying. I also live in “BosNYWash” and hope to move back West in retirement. I am not miserable here, but I miss some good friends and family back in the West, awesome nature opportunities, a lower-key lifestyle, bigger skies, and lower humidity summers. But I do agree that people who think a different location will fix more systemic unhappiness are fooling themselves. We are moving to be closer to family and friends. This is not a random move but a opportunistic move to where we grew up and have a support system in place. I prefer the smaller town low key lifestyle. I do not like the high pressure, fast pace east coast life we’ve chosen. When we moved out East my DH proposed with a ring and said we’d return west together. He also said that we would not live the life we are living. So I’m trying to figure out how to keep that promise. You’re going to need to move. The quicker the better. This is when money is not the primary concern, and from your finances it isn’t even an issue. A job is a job, he will find another if that’s what he wants and with the set up offered he will have plenty of time to find another good fit. The fact is you are home with your young babies and miserable not near family and friends -support system- edit it is completely understandable (and I think scientific) to want to raise your children where you grew up! That will help you so much more than your current situation. Solve this quick and don’t look back. Just be upfront with him about your unhappiness. Who wants an unhappy home life?! I have been and when we moved out east he proposed with a ring and a promise to move back to the West Coast when we had kids. We’ve been waiting for a job but it hasn’t appeared. So we’ve been waiting. I feel like time and opportunity are quickly closing. So I want to see if we are able to instead perhaps not be dependent on a job to move. If you’re husband isn’t motivated to move, the ‘perfect’ job won’t just appear. You have enough to set up and live off for a while. You could feasibly move and then find the job. That’s not the issue here. Orginally from West Coast both of us. NO family out east. If you’re considering Portland, I invite you to take a look at Salem instead. We retired here a couple of years ago and love it. We can get to Portland for art and restaurants in less than an hour and don’t have to deal with crowds and traffic the rest of the time. Salem is a lovely town, and if you have any interest in midcentury modern houses, it’s a mecca! Good local hospital, great public library, good school system. Come for a visit! The writer does not say what kind of work her husband does. There are some jobs in DC, some terrifically fun, challenging jobs, that simply don’t exist elsewhere. I left one of those jobs years ago….and still miss it at times. For me the trade of leaving was worth it to be a mom with a flexible schedule, but had I been a guy with a wife who was home with the kids….well, I would probably still be there. A few things worried me about your situation, and possibly it’s just the phrasing but I thought I’d chime in, in case it helps. If you’re unhappy in your current situation (and it certainly sounds like it), unhappy with your house, and your commute… How do you know you’ll be happy in a bigger house, in a different City (which, like others have already said, are much the same)? As a suggestion, find happiness and contentment with what you have *now*, and then it won’t matter if and when you move. Having said that, we moved across the world for a happier lifestyle, and it has certainly improved significantly, so if you’ve done your research and think it’ll improve your situation, by all means! By the way, our new lifestyle includes renting a house (housing too unaffordable to purchase in our city), commuting for an hour for 8 miles (terrible traffic), and my husband recently had to stop working due to various reasons, so we are only saving about 10-20% of our income. My plans for early retirement had to be shelved, I would love to own my own house, but I am *happy* and content with what I have. I acknowledge I’m richer than a significant portion of the world, I make a great deal of money – enough to support myself and my husband and save a bit on the side, and we are both healthy. And the hubby is now looking for a job and getting lots of interest – so we might be back on track for early retirement soon. We are both 31 btw. So my message is – be happy with what you have already, and any improvement will just be icing on the cake. If you find contentment with your townhouse, you won’t need to become “house poor”. I’m also confused why you’re worried about the 30 mins to work, when you don’t work? Possibly the time lost with your husband? Is he spending too much time at work? Or possibly he’s unhappy with the commute? Hope you find a good solution that both you and your husband will love. In order to buy a home we’d have to become the “clowns” MMM talks about who commute one hour to a job. Or we can raise our kids in a townhouse where we get constant complaints about our noise. My DH isn’t happy with it, but we can’t move until we decide where we want to live. Is he ready to settle on the east coast and commute one hour? I BET he’ll be super unhappy quickly when he realizes that we both are working for an expensive house $750K+, which Seattle and Portland I know aren’t that expensive, they aren’t cheap but not in that cost of living. And I’m working and we’re struggling to spend time as a family. What is the point? I’d like to rent and have him experience the lifestyle before we settle and him truly accept we become “clowns” to the lifestyle versus we move and have a simpler lifestyle. I am wondering whether the quickest way to FI (or early retirement; same difference) is striving to become rent- or mortgage free? Cutting down on (non-mortgage related) living expenses, to me, has two main purposes: (1) getting used to live the good life with less for a life after FI, and (2) to pay off the mortgage quicker. Therefore, any move to cut down on mortgage expenses can only be applauded and encouraged. For me personally, college-savings, and other associated expenses could be easily dealt with via ‘part-time’ retirement (e.g. part-time work, seasonal work when I feel like, income from my ‘part-time-business’, etc.) if it wasn’t for the mortgage. This is how I look at it too, although a lot of people disagree and say that it’s better to invest instead of pay off the mortgage. I just say “good for them” and send a big principal only payment to be mortgage free sometime in the next two years. Once there, I will be able to pay all our family expenses with pretty much any job if our passive income does not cover it already. That’s a great feeling of financial security that a lot of people who carry a mortgage for 30 years won’t get to experience until their mortgage is paid off. Am I the only one having a hard time accepting that ARM mortgage. The rate is super low now– now is the time to pay that mortgage down.What is the high end of the ARM–I’d think you would want to avoid that. To me college & anything more than a modest savings should go on hold until the mortgage is gone. There will be money for college once the house is paid. Colleges in the west are way cheaper than in the east anyway. I was wondering about the ARM as well. I’m guessing the husband works in finance. In which case, just wait until the company goes under. Not in finance. And twins I’d be thrilled. I wanted four anyway. And it’s hard to pay off a mortgage that’s so large versus us moving and buying a home for $300k and paying cash for a home. People assume I have lavish tastes. NO. I could be happy with 1200 sq ft 3bd/2ba, but that is still over $800k where I live. So I can’t afford it. Elsewhere I’m hoping to get that for $300k. Ok, for reference, Zillow says my house in a less trendy part of Portland, but only 6 miles from downtown, is worth $228K. It is 1400 sq ft. 3 bed/2.5 bath. No yard however, but a park one block away. Something safe, diverse, opportunities. Of course smaller size classes and perhaps one high school would be nice. That is something completely livable. I don’t have a yard or garage now so it’s an upgrade. I totally agree, my mortgage is paid off and it is great to know that if something really bad happens, all I have to do is come up with property taxes, which are like $1000 a year here. I don’t care if my money could be doing more somewhere else, as a single mom of two young kids there is just nothing like a paid off house to me! I lived in Seattle for 12 years and still own a home there after moving to Vermont in 2012. I recommend googling the phrase “Seattle Chill” before moving there so you at least know what you’re getting into. It’s a great place, but go in with your eyes open. As one friend who grew up there described it, “Most people have their friends and they’re not taking resumes.” My wife and I didn’t find it quite that extreme, but moving across country with small kids isn’t something to do lightly in terms of finding your community. Wow, that would be a surprising phenomenon if it were true. On my own trips to Seattle I have found some of the warmest and fun-loving people I have met anywhere. The MMM meetup we held there still holds the record for most fun. Or maybe tied with Ottawa. I’m gonna have to disagree that this isn’t a real or true phenomenon. I think that as someone visiting you didn’t get a good gauge of the people. I’ve lived here for 6 years and the first 5 1/2 years were in the military so I too had limited interactions with the people here. Now that I’m out the military and immersed in the culture my great love of the NW is waning. In my opinion the Seattle Chill is a very real and (for this southern transplantee) very off putting thing. Its kinda like Dr. Jekyll and Mr. Hyde but the sun is the catalyst. When its out people are really cool and nice, but for the 6-7 months that its gone in the fall-winter-spring mash-up season people can be downright nasty. Maybe I have an unreasonably high expectation for courtesy and generally pleasant social interactions with strangers being that I am from the South but man I can’t get over the way people act here sometimes. The “Seattle/Portland Chill” is real. It happens when recent east coast transplants take every opportunity to point out how backwards, provincial, uncultured, or otherwise inferior the PNW is to the eastern cities. (For example, comments like, “The laid back west coast attitude extends to academics.” Ahem.) We give people a few tries, then we give up on them and stick to people we have more in common with. I had a “friend” from Boston who constantly complained how uncultured Portland is, and how all the art and music is crap. She also couldn’t understand why she had trouble making friends. Hint: it wasn’t the weather. This. I followed a long line of college friends from Iowa to Seattle about five years ago and not a single one of us ever experienced the “Seattle Freeze” (as I’ve always heard it called). That being said, we’re Midwestern, not East Coasters. We were all drawn here by the culture and environment; although our interests are diverse, whether one is into beer, coffee, outdoorsy stuff, live music/art/etc., the scene in the PNW is a dramatic improvement over home. Interestingly, I lived in NYC for a while before moving out west, and experienced MUCH more of a freeze on the east coast. There’s just a big difference in cultures. Some people can roll with it, and others can’t. I, personally, could never live anywhere else. Well I grew up and raised out west and found the East coast Elitist, snobby, and old money. Something I’m not and will never be. NONE of my “friends” out East struggled growing up. No diversity in my neighborhood. My DH and I both grew up in diverse areas socio-economically and otherwise. Seattle chill? Trust me i can live there and so can DH. Instead we have to live with snobbery about not paying 100% for college or private school where we currently live. That people here overschedule and over do their kids. I know parents who have tutors for everything. Where I currently live average daycare is $2k-2500/month. That’s $30k/year per kid. Most friends pay more. We don’t. I don’t want to live in a place where it is so tough to keep up financially. We never will and I don’t want to. Yes so my entire salary will be gone working. Second, coworker of my DH her son is at college in McGill and costs $4k/year and she is paying $8k for camp for her daughter where we live. How messed up is that? She said that herself. So why does my DH want to kill himself to live here? I want him to really consider what we are working for. LAL, I’m in the Boston area and it’s super hard here (I’m a midwestern transplant) if you’re not a hover parent who over schedules from age 3 on up. I found a nice group of frugal parents in homeschooling groups. I started homeschooling when my oldest was 6, and while those parents had their quirks (who doesn’t? ), for the most part they were unplugged from the gogogo “competitive parenting” atmosphere and condescension about my being a part-time work-at-home mom and not a SuperMom who worked a corporate job full time. They also tended to be extremely frugal, which made socializing so much cheaper. Sorry, but this is one if the weaker posts on the site. How are they to transfer the retirement savings to living expenses? (Before you say “duh, Roth conversion ladder!” how about doing the math and spelling out how that works here). Where is the safety margin? You say they have enough — how do they achieve their goal of saving for college? Also, seems like the comments got more right here than the response — what about the husband? Dude loves his job, and that’s a beautiful thing. But I am no expert on the matter, since I keep finding that other income is enough to sustain the lifestyle. With people like these folks who also like to work, the same phenomenon is likely to happen. Whoa! I disagree with your numbers. You forgot to invite Uncle Sam to the party! These folks don’t really have $275k to purchase a new house and 625k to invest for current interest / income. I went back and read the posts you mentioned. The 401k “Loophole” gives you about $1,300 per 100k. They have just under 250k in their 401k. This would provide them with just $5,450 a year income. The Roth IRA has 217k . To get to this money, with out the 10% penalty, they have to roll it over to a 401k and then WAIT 5 years. This doesn’t help out with current income either. The house has equity of aprox 200k but the budget is to pay cash for a house ( and moving expenses, realtor fees ? ) of 275k. So, they need the 200k equity and about half of their 163k in taxable investments. So, for the next 5 years, they would have a house to live in, 401k income of $5,450 annual, 50k in cash and about 90k to invest for additional income. The alternative is to take a deep breath and cash out all the retirement accounts at once. Pay the taxes and fees. This will be a major tax hit. It might be a good idea to stop putting money in the tax deferred accounts ( 401k and Roth) and save cash for future tax bill. Also, once income is lower they might be able to average tax over a few years. Live in a tax free state the year they actually cash out ? These folks have fantastic income and savings but it might be in the wrong types of accounts to be young mustachians. ? The retirement accounts don’t work the way you seem to think they do. PS: Uncle Sam will crash the party even if he isn’t invited. I would encourage you to do some more research on 72T (SEPP withdraws), and Roth conversions (laddering) as your assumptions aren’t quite accurate. 72T withdraws from their 401k can access about 3.3% of assets a year at current interest rates (for a 35 year old) without penalty, which is very close to the safe withdraw rate. The number changes by age or interest rate when you start the withdraws, so that gives them more like $8250 out of 401ks. Or this money can be converted to the roth at their new “low or 0 %” tax rate in retirement and used after 5 years penalty and tax free. Roth contributions can be withdrawn at anytime without tax or penalty, so we don’t know exactly how much they could have access to here penalty free without understanding the makeup of their roth accounts. But it seems like they would have >$100k they could withdraw tax/penalty free. (you never roll a roth to a 401k by the way). savings in tax deferred accounts is pretty much always better than taxable. If you want to go the more flexible roth conversion ladder then it is good to have at least 5 years of expenses in Roth contributions or taxable accounts. But if you have that then there is no point to save more in taxable accounts. Thank you for the information. I will be looking into it further. I would love to see a how-to post from someone who is actually doing this, with instructions like “call your Vanguard concierge and tell them to move $5k from X to Y”. It’s still pretty confusing to me, and what do you live off of during that initial 5-year seasoning period, and after that are you only living on 5k/year because that’s what you migrated?? But as Lucas said, they already have about $100k capital in their Roth currently, so that can be withdrawn tax free while setting up their ladder. Thank you for this Jacob! Portland is a great place to live. Laid back and not image based. But people are starting to take notice of ‘Seattle’s little brother’ and the cost of living is starting to increase in PDX. It’s very easy to go car free here. I recommend you take a trip to both Seattle and Portland and see which one fits your style. Oh, and you have to be ready for the cloudy days 8 months of the year with whatever place you choose! I can’t wait to ‘retire’…to be able to work at a job where money isn’t a concern and you can do whatever you want. If I had the net worth, I would do it in a heart beat!! Run, don’t walk, to financial freedom..NOW! Life is very short! Portland is a wonderful city to live in, or live near. My 2 cents about the family planning? Have the 3rd baby! Everything else will fall into place around your bigger family – start with the most important things first. What about inflation? They may be able to reach FI today using a 4% draw down, but all the monthly expenses are going to rise (and likely double) over time while the retirement assets flatline (many experts say that the days of expecting 8% stock market returns are over). Additionally, how do you access 402K and Roth money pre-retirement age? Aren’t the penalties substantial? The 4% rule takes inflation into account, and automatically gives you a raise each year to account for it. If you picture your savings earning about 7% per year, and you leave 3% in so everything can keep growing with inflation while you spend the remaining 4%, that is roughly the right picture. Then there’s the other issue: stocks are a bit on the expensive side of average right now, so I wouldn’t retire on a really tight 4% allocation as described in this case study, if stocks were my primary source of savings. Better to work an extra year, or use a rental house for part of the income to isolate some of the portfolio from stocks. Inflation factors well when costs remain somewhat the same year after year. As kids grow, their expenses are going to grow, because as kids get older, their toys cost more and they eat more and they need more clothing. Everything associated with the kids grows more each year. While I agree that children eat more as they get older and that, as parents, we are quite obliged to fill their bellies, I take exception to the increase in the cost of “their toys”. Don’t forget that their ability to get jobs should be increasing proportionally with they toyish desires. Otherwise, we’re missing out on a splendid opportunity to teach our children financial lessons. ^ this. And if “stuff” is necessary, then get it for free. With the abundance of free junk on Craigslist, family hand-me-downs and buy-nothing groups on Facebook, we haven’t really had to buy toys/clothing for a while. And I don’t expect to with people finally dumping all the stuff they bought and “lightly used” into our laps. Personally, I think kids can work around the house and still learn value of a dollar and what it means to take on responsibilities. They should not be working outside of the home IF one wants them to do well in school. Priority needs to be placed on either school or making money so mom and dad can retire early or semi-retire. Think of it this way, doing well in school could save mom and dad a bundle should the kids qualify for scholarships. Why have kids if focus is on them working to help mom and dad retire early or semi-retire? Good luck finding free stuff for teenagers on craigslist. Might be able to find cheap toys for toddlers, but not teenagers. Being dependent on finding cheap or free is exhausting after a while, especially so mom and dad can retire early or be semi-retired. That is what this site is about, right? So putting it in that context. If you have kids, any kind of retirement should be delayed until there is absolutely no doubt that you can meet your kids needs. Not your kids’ every desire, but normal stuff and although many parents think kids “need” a cell phone, I do not. Even better than Craigslist is the “Buy Nothing Project” Facebook groups. Also, clothing swaps can help gather clothing for cheap and get rid of old stuff. I’m not saying NEVER buy anything for your kids, but you don’t have to pay for everything. Yeah … so, the point of making them pay for most of their own toys (but not clothes and food) is the part where they learn to save their money and exist on fewer toys. The sooner they learn that lesson, the better their lives will be. Speaking for myself, summer jobs were what I did, and most of that went to university tuition and what not. I disagree entirely. You know the expression – if you want something done, give it to a busy person? It’s true. I never found that a job interfered with my ability to do well in school. If anything, the job improved my skills in time management and other basic life skills that helped me to do better in school. There are a lot more factors behind doing well in school than the number of hours you spend memorizing inane details. My position will always be that we have our entire lives to work so pushing kids out the door to work while going to school is wrong. Doing well in school is work and if they manage that well, they will be fine as adults especially if they have good role models around them. I worked from 10th grade and worked through college and I regret it. I was too focused on making money at the expense of enjoying my childhood. Before 10th grade, I mowed lawns and shoveled snow off sidewalks (anything for a buck). There is plenty of time after finishing school to be an adult. My early work is why I focused so much on early retirement, I’m sure. I guess it depends maybe on the jobs you do? If you didn’t do things you enjoyed, and you weren’t learning and developing new skills from them, that wouldn’t be a lot of fun. My friends & I all got a job at the same place in the summer and I still have fond memories of those times. We spent a lot of our time working, volunteering, and doing other fun and productive things, learning our way in the world. I also think that getting exposure to different types of work and different industries really helps you understand what it is you like to do and what you want to do for a career. If I had paid more attention to my experiences at summer jobs I would have known that I didn’t want a desk job, and maybe I’d be doing something I enjoyed more now. . I agree. When we were kids we made spending money by mowing lawns and later on when we were teenagers,–babysitting. We bought records and clothes with it while saving some too. I won’t bore you with walking to school in the snow stories since I grew up in CA. Is this budget supposed to be for 2 adults and 3 kids? If so, seems a bit optimistic to propose/expect that a family of 5 will spend only $1,300 more per year than MMM’s 3 person family. I agree. I was hoping MMM would address your comment. Was hoping to see how a minimalist budget scales based on number of kids living at home. I expect some costs would be fixed, but others would need to be adjusted. The biggest “larger family” expenses are healthcare and food. Someone address healthcare above, but they are already rocking $400 per month for a family of 4. Add a baby, and the costs don’t increase much. But all good case studies to come with a safety margin, and these two could literally work one more year and offset any increased cost of 3rd child concerns. Adding a third *infant* won’t raise food costs, but I cannot imagine how I’d feed an older family of five on $400 a month (unless I farmed. Or only shopped at grocery outlet). My healthy athletic tweens already eat more than me and they’re not even in high school yet. Raising babies was practically free: breastfeed, cloth diapers, don’t buy baby gear/gadgets, wear thrift store clothes. No problem. Then around 6-8 years old, suddenly kids start wearing out their clothes, not just out-growing them. (They grow like weeds. My son needs new shoes every few months now.) And good luck convincing a 12 year old to wear clothes from Goodwill, just so you don’t have to go to work and can be with them 24/7 – newsflash: they would rather we went to work. ;) What seemed so simple before gets more expensive every day. Retiring in their young 30’s with small kids is a CRAZY idea, imo. 28k for 5 people in our family in DC metro area. That includes ~ 4k of travel/gifts/Christmas/vacations etc. . . So it can certainly be done :-) Yes i expect some costs to go up some as the kids move through school, but most of the added things are choices. As MMM has experienced being “retired” doesn’t mean you don’t do anything, and it is pretty easy to do something you like\want and earn 20k or so a year part time, which would cover almost all of our expenses. My wife and I have three kids and we spend less than the Moustache family each year. It seems like this couple started a journey with no end game in mind. I propose all couples who start a family decide and discuss where they will retire. So they then at least have a set goal going forward and only the fund building with the time it takes is what they need to be free. Besides that they are saving and living very frugally, good job. Scary similar. Also 34 and 36. Wife also campaigning for child #3. Net worth approx 100k less. Even the Subaru! Have often romanticized about moving from “boring” Ontario to the Sunshine Coast of BC, where my brothers live with their families. Too darn expensive. At this stage it will be far easier to retire early (or at least simplify life) in our current location. I suppose we’ll aim to spend summers there when we finally reach our “f u” goal. May I ask, what is YOUR “F U” goal? If you aren’t wed to proximity to the ocean, look into Boise, Idaho, which perennially shows up on those Top 10 lists for places to raise a family AND places to retire. Boise is cheap, friendly, and very livable, with great biking in the city and foothills, skiing, nearby rivers, tons of public land… all those western qualities. For a bit more than the price mentioned for a house 20 miles outside of Seattle, you can find a house within walking distance of downtown, with great neighborhood schools, and maybe even geothermal heat! Yes, I live in Boise and I would echo that! Boise is #2 on Forbes for “Best Cities to Raise a Family” If you don’t need to earn an income (wages are not the best) this is a great place to live! Sounds like a good situation to be in. If I liked my job, it would be hard to move away from it. Partly because I don’t know if I could find a comparable one. My hubby and I do want to have FI or FU status by the time we’re forty. I think they should keep saving for a couple more years, and plan out the next move. FIgure out what you both want in 3 years and then make a plan to get there. As far as college funds, do make your kids try to contribute by getting merit scholarships. The rest will be gravy. You’ve received a lot of great advice. I would like to comment on just one thing, because I think the other things have been said. You can afford another child. Period. Whether you stay there or move, you can make it work. Thank you. I think I’m working on my DH. I think part of my issue where we live is that people are constantly talking about affording X, Y, Z for their kids. Versus I think you don’t need to provide a house DP, wedding, etc and children if you help them with college, is more than adequate. Teach them good habits. Time spent is most important than all the material things you need to survive. Ok to the person whose case study this was feel free to contact me :) We lived in Seattle from 2011-2012 and have lived just outside of Portland since. (I grew up here as well (Eugene and Spokane)…although it sounds like you already have fam in the area. I will say for the MMM lifestyle I have found Portland to be far more friendlier than Seattle and its outlying areas (not ragging on Seattle as I do love it for many things) but Portland just seems to beat it in every way minus state income tax. Especially the weather. Take a look at Hillsboro (or our little paradise Forest Grove, AMAZING) if you want a little taste of MMM lifestyle before committing fly out and feel free to visit! Forest Grove sits at the base of the coastal range, its this amazing little micro climate that is as lush and beautiful as the pacific north west should be but misses much of the rain and oppressive clouds as Seattle and even Portland get. Wonderful city library, quaint restaurants, nice farmers markets and CSA’s although you won’t need them if you have even a tiny green thumb, because everything grows out here. You’re an hour and 15 from the coast, 20 minutes from the mountains, and a 20 min drive into Hillsboro (Costco, arts and entertainment, and major store you could want…although why you would need anything is beyond me :) I can see the high school at the end of the street and beyond that Mt. Hood…Mt St. Helens and Jefferson on a good day too. No city, school, or sales tax…and quite a great Goodwill. Good Thai food, pizza, Lebanese, etc. I’m fairly certain we live in Nirvana. Our days are filled with hiking, Salmon fishing, crabbing, biking, dog parks (which I can see from our driveway) winery visits (an entire 2 miles away) and when you need a big cultural boost, ride or hop a bus downtown Portland! Everything you need is within a few miles and you wake up to the pacific coastal range as a back drop to your morning coffee…hurry up and have baby #3, we could always use another family to live the dream of the 90’s out here! Thank you Nichole for your experience and insight. This is a great comparison, and could help show a comparable and possibly cheaper alternative to Seattle. I’m obviously biased toward Seattle, but did live in Newberg for a year, and know the Portland area pretty well. Either way, it’s all about what their planned lifestyle dictates, and the choice needs some research before executing. Bottom line: I am in agreement that visiting each area for a few stays would do this couple well before making such a huge move. Nicole- I just printed out your comment to put in my retirement file. Next time I’m in the Pacific Northwest I’m definitely checking out Forest Grove! How is the school districts out there? I never really know what people are asking when they ask how a certain school or school districts are. The answer really is, it depends on what you’re looking for and what you value and what you think education should be and look like and what kind of environment you think your child will do best in. I’m a public school teacher and so I think I see schools in a slightly different way than other parents. But if you’re interested in how a school district does on its standardized testing and its ethnic composition and statistical things that are easy to quantify and put into a report, you can find all of that kind of information easily. For a deeper impression of a school district or a particular school, I think you have to spend time in it. Nichole, I so loved your post. The DH and I are renting in Cannon Beach-been here on and off (briefly Big Island of Hawaii and SW Portland) since ’06. We have taken to spending the nights at Grand Lodge (we don’t drive back over to the coast at night in winter) when we come to town. Grand Lodge is cheap and cozy. We have begun to really fall for Forest Grove! We are trying to figure where to buy and what you say just rings like a chime. Thanks! PS I never have gotten from Grand Lodge back to 26 the same way twice!? This doesn’t fundamentally change things, but the budget didn’t include the very expensive water/sewer and garbage service in Western WA. Around here you can easily spend more on those 2 utilities than on gas/ electric. That said, you could make up the difference by spending $20 per month total for 2 cell plans on airvoice instead of $60 per month for 2 plans on Republic Wireless. We moved from rural Minnesota to Seattle last year. We paid all utilities on a house in Minnesota and found it was one of the highest cost areas in the country. These costs are lower here. So, I suppose it depends on current costs. I think Property Tax would be a much larger concern. Also, if you are convinced you want and have enough resources for another child, I’d go for it. You get kids for the rest of your life–what else can you say that about? Portland water/sewer rates are ranked #5 most expensive of the 50 largest cities in the US. Our water/sewer bill always exceeds monthly electrical and also exceeds monthly average for natural gas. ~$200 every three months with conservation in effect. Sewer is the majority of the bill. However, we do have some of the best drinking water quality in the US (Portland only; suburbs will have different water sources). Property taxes will be higher than the estimate in the city. However, there are tax abatement areas that have extremely low rates for a fixed period of time. You may want to investigate this as many of these areas are now being revitalized (or gentrified depending on your point of view). I pay $210 HOA fees and that’s low. Most people in bigger associations which cover more pay on average around $500/month. We just pay water and insurance. We have to shovel ourselves, all out of pocket repairs we pay a 1/3. So not monthly but something that comes up. I would guess we could easily manage $50/month. Our heating bills last month for how cold we kept the house was $600. It’s cold enough when people come over they bring house slippers and wear their sweatshirts. But it’s next to impossible to heat our house more with the age and lack of insulation. >> Our heating bills last month for how cold we kept the house was $600. I would consider that a ‘hair on fire’ problem. A little money can go a long way to seal up leaks / insulate / etc. A thorough financial analysis, except for one category: water. Are water and sewer/wastewater both free in Seattle? We live in Eugene, where the water is cheap–and good–but still, we pay $50 a month total for those two charges. I’m currently house-hunting in Seattle, having lived (rented) here for 4 years. Inventory is low, prices are high (starting at 450k), and the market is getting crazy. The place I wanted to make an offer on already has 6 offers. That said, we’re limited by my wife’s commute; we’re only looking within a 20min bike ride of the 520 corridor. There are cheaper places in Seattle. Beacon Hill prices start at $300k for what we’re looking for, a good $100k or $200k discount from NE and E Seattle. As you go even further south, you start seeing places in $200k range. Given that the light rail will soon connect south seattle with places like Capitol Hill and UW (starting in early 2016), these seem like a good deal to me. The only house I’ve ever purchased was in Monroe in 1995. That community was a literal list of things to never settle into. I cannot even write about it. Got out in 2002 with a small profit, because of Greater Sucka factor, but I have never bought another house. Hope to recover and trust again someday! Tell the case study to stop investing in ROTH IRAs, now! If he’s going from $200k+ to less than $60K in a few years, he’s currently giving up a 28% – 35% tax break by passing on a Traditional IRA. In the future, with 2-3 kids and less income, he’ll pay pretty much 0% in federal taxes. In essence all his 401k and T-IRA money becomes a Roth. Oh, and tell him to look up SEPP IRAs as for how to do this in his 30’s. He’ll get far more than ‘grocery money’ out of it with a portfolio his size. What a beautiful country this is. While some people complain of socialism this and ‘tax the rich’ that, you can live a stupid-rich lifestyle while paying stupid-low taxes. For married tax filers, when you have a company retirement plan but your spouse doesn’t, the deduction for your spouse is phased out between $178,000 and $188,000 of MAGI – so they may do the Roth IRA because they no longer qualify for the tax deduction from the traditional IRA. And for the spouse that is covered, the deduction is phased out between $95,000 and $115,000 of your MAGI. Don’t qualify for taxable or Roth IRA. Backdoor only IRA. The complaint about BosWash being hugely expensive isn’t entirely accurate. I am looking at moving to the Lehigh Valley (Allentown/Bethlehem, Pennsylvania) to reduce expenses, where one can get a house similar to the case study’s for a quarter of the price, in an excellent school district. As a bonus, goods in the area are very cheap, because the Lehigh Valley holds the warehouses that distribute them to the entire Northeast. The area is an hour from New York and an hour from Philadelphia, so your friends and family could easily visit occasionally. we aren’t from the east coast, actually we’re from the west coast. I’d suggest that to friends from the area who want cheaper. But we want to move closer to family and friends. I understand that the OP wants to move out, but there are plenty of places in the corridor that are reasonable. Especially if you don’t have any kids. In DC, the areas around the Huntington/Van Dorn/ Franconia stations have pockets of very reasonable housing. Nope work everyday and no telecommuting ever. It’s not that sort of work. Can’t be done at home. I think that’s the biggest problem people assume you can always work from home but sometimes it’s just not possible. The dream is alive in Oak Cliff Texas. (Dallas) but is in it’s infancy which means you can buy a house here for less and there are no state taxes. Our weather is not as great as we’d like and we don’t get as many outdoor activity options but there are tons of companies here and more moving. It is unlike other areas of Dallas. Also another place is downtown Tucson. I haven’t lived there in years but every time I go back, except for some gentrification the people and lifestyle has not changed. This case study is a little eerie to my wife and I, only for the fact that we have been discussing a move to the Portland area, or right over the bridge in Vancouver, WA. we live in PA outside of Philly, and just cannot stand it here anymore. we were in Portland in 2012 for a wedding and just loved it, the problem is, our net worth is no where near this couple, we have no cc debt, cars are 2005 toyotas, both paid off, but i have very little in 401k, and not too much elsewhere. we owe 150k @ 4% on our mortgage for a very small and very old house, with taxes that are outrageous in the mid 4,000. and now we have had our first child, who is a little over 1yr, and all our family is in this area. we have no idea on how to even begin a move of this magnitude, other than planning another trip out there this year to see if that is really what we want. we just know that we don’t like the area we are in now. How do you start? Break it into components, and move forward. House: this is an issue of buying and selling. Jobs? Start your networking and looking. Getting from A to B? That is just logistics, some time on craigslist, and packing boxes. Big moves are a bit daunting, but ultimately it is just a collection of small to medium tasks. You can also use it as an opportunity to jettison a lot of non-essentials and take root in Portland or wherever with what you really need. Good luck! try renting a house for a month in the summer. Think of it summering there instead of out east. The move isn’t a big deal in many ways for us because it’s where we grew up and closer to family and friends. So many of the “lifestyle” issues others may have we don’t and won’t have. We spend a lot of time out west already and know and understand many parts of lifestyle like weather, people, and even some housing and commuting. Better probably than many people who are moving cross country. But it’s worth investigating in my mind if you don’t like where you live. We made the move to Portland/Vancouver to escape the high costs of housing in CA about 13 years ago and we’ve never been happier. We did it with the proceeds on our house to live on until we got jobs, and nothing more than the apartment lined up for us (the internet rocks!). If you’re intending to keep working for a while and have enough set aside to keep a safety net under you until you get decent jobs in your chosen profession, it’s a good gamble. Back in CA we could barely afford a 950 sq ft townhouse with my husband making 105K a year. Here, we bought a house with twice the square feet for the cheaper, so we didn’t have the pressure to find jobs that were as high earning to start with. 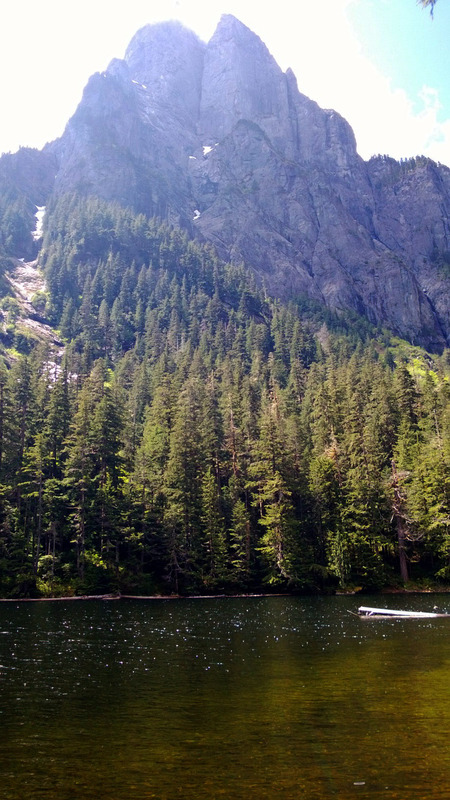 If early retirement is your goal, I think the PNW is a great place to work toward it. Renting for a month in the summer is a good idea, but visit in the winter, spring or fall also, because what you’ll get is rain. A lot of it. Don’t get me wrong, I love the rain, you can’t live in the PNW for the past 13 years and not get used to it – but it does affect some people negatively. LAL is from the PNW and so is her husband, so they’re good, but if you’re used to 4 distinct seasons, you won’t get that here. It’s pretty much rain/cold rain with a tiny bit of ice or frost/gray drizzle for the bulk of the year and then a couple of months of 80 to 90 degree sunny weather in the summer. If you’re tired of shoveling snow and this seems like a dream to you, then come on over! 1. The children are 1 and 3. Where will they be going to school? What type of environment do you want them to be raised in? 2. Family was mentioned in the Pacific Northwest. I understand that completely as we’re planning a move to the other side of the world (again) for family. So where are you living if you’ve reached early retirement and you want to be closer to family? Yes talked more with DH and he isn’t sure about retiring. He isn’t sure about sitting at home and having all that free time and doing nothing. He’s not cut out to be a Stay at home dad. He isn’t sure he can hack being at home. At least he’s being honest. So perhaps we have to look at stages. Retire with 1 and 3 year old children? On what little you have saved? I would not recommend it. Your earning years are coming and there is nothing wrong with hard work with high rewards if you like your job. What about college for the kids, paying for their weddings, funding the gradkids education and a retirement that involves not worrying about money at all instead of ‘getting by’? There was a guy that retired early and his money didn’t last and he had to go back to work for 10 years to build up enough to retire on. Talk about one bitter person he became. At 55 I actually have more assets than this person, no kids to raise and love my job and work. Of course it would be ‘nice’ to retire early – but – what would I do? Sit around watching tv? Spend the rest of my life ‘getting by on little’? I am debt free and the house is paid off with no big bills planned. I have my vehicles paid for and have no problem paying cash for good working used vehicles. When I do reach the age of retirement (I am planning on 66 + 8 months old) I can choose $6,500+ a month pension for life, or $900,000+ lump sum payout or a combination of lump sum and monthly pension (to be rolled into an IRA to pass onto my heirs). My monthly social security income will be more than adequate for my month-to-month bills and my IRA will be my emergency fund and living/play money. If I was married to this woman I would say no to her ending *our* working career. Regarding kids, it’s like what the airline stewardess says, “put on your mask before assisting your child.” Paying for kids college (an amazingly there are careers that don’t require a BA) and grad school, weddings, downpayments on first homes, cars, grandkids private school, and setting up a dynasty that will reign for the ages are very nice but not required. That is exactly how i feel. I’ve always felt we should help if we can and what we can. But not at the expense of ourselves. Congratulations on having a pension of 6,500 a month for life. I assume you do not work in private industry. You realize that MMM has been retired since 30 with a kid? That he is still retired nearly a decade later? I hope you follow up with these folks after they decide what to do. I’d be interested in seeing how the couple navigates what seems to be the most difficult issue here–agreeing on their next step. I grew up in Seattle and spent a lot of time in Portland. I’d echo the idea that only people from D.C., Boston, NYC or SF would consider Seattle cheap. On the other hand, there are a lot of great jobs for your husband, especially in tech. Check out West Seattle or Crown Heights for cheaper in-city housing. In Portland, there are far fewer big employers. Maybe just Intel and HP routinely pay $200K. Otherwise, hope your husband is a doctor. If you’re truly putting lifestyle over jobs, I’d consider Bend, Oregon. Great skiing, hiking, and weather. Way more sun than Seattle and close-ish to Northern CA. Not a lot of great jobs, but you’re not there to work. Bellingham is also lovely, but it’s too gray for me. S.A.D. is real. I think Boise would be an interesting early retirement play. It’s way cheaper than either city; there are some good jobs; and my guess is that you could get a 4-plex AND an acceptable house for $400K. The weather is decent; lots of skiing, rafting and mountain biking reasonably close by. Socially, Idaho is pretty conservative and there hasn’t been much new construction downtown since the 90s? It’s not a hotbed of anything. Also, Walla Walla and the Palouse are lovely if you’re OK with more remote; the San Juans are awesome too. Agree but if you are on a budget skiing would be pretty pricey for 5. Walla Walla is cheaper than Seattle but the San Juan’s would be expensive. I wonder where their relatives live. Not true about Boise’s downtown construction. JUMP (Jack’s Urban Meeting Place) is about halfway finished (http://www.dwpwebcams.com/jump/), and I believe the new tower is completed and leasing (http://8thandmain.com/news/). Not as much construction going on as Seattle, of course, but definitely something happening. Socially conservative–yup, that’s a big one. We live where we would consider Seattle cheap. I agree with others that the analysis is painting an unrealistically rosy picture for this couple. The outlined expenses are low-ball figures in my opinion and the analysis is too much about the here and now rather than taking the future into consideration. –medical with insurance doesn’t cover the co-pay or the 20% until deductible is met. I could make the above list legitimately longer, but I think I’ve made my point. She wants to live outside of the city. When their kids get older, will they get a car? In rural settings, a bike won’t work for everything America, like it or not, is built for the automobile. Bikes will do for some trips, but they certainly don’t replace cars. What I mean to say is that everyone can bike to certain places, but a car is needed when the bike won’t do so for the whatever percent of time a car is needed, will these kids need a car? Portland is way cheaper than Seattle. No sales tax in Oregon so are property taxes high? Gov’t make up for no sales tax or no income tax somewhere else and where ever that is in Oregon, you should be aware of it. One thing I like about the east coast is that the states are small so they compete with each other – taxes, jobs, culture, schools, immigration policy, you name it, they compete. State policy is with respect to what another state is doing or not doing. I lived in California where there is no competition so taxes are very high. Schools are awful in California yet it is not very easy to move to a neighboring state, because neighboring states are just too far away to still work in California (Disclaimer: Rich neighborhoods in CA have excellent schools, but to get in them, you have to pay 1.3 million dollars for a 1400sqft rancher). Because of the size of western states (no competition), sales tax tends to be very high whereas on the east coast, with many smaller states, sales tax is generally less than 6 percent. We also like traveling on the east coast more than in the west. We can get in the car and just drive and drive through many states in just a few hours depending on which direction we drive. My parents live in Maryland, but can get to Virginia in 2 minutes and 1 minute longer be in West Virginia and 1 hour after that be in Pennsylvania or Delaware. In the western state, you don’t leave the state very much. There is also a lot more American history on the east coast. I hope those reading understand the above. I lived it so the difference between living in the west and the east becomes very obvious. They are 34 and 36 – relax! Give it at least another 5 years at your current savings rate and revisit the idea. –cell phones – Republic is cheap, and if we’re talking future, could be even less expensive with WiFi everywhere! –console game boxes – Used and hand-me-downs are free or cheap. Also, these are NOT required. –birthday parties – Pinterest could throw you a decked out party for $30. Look it up. –trips to amusement parks – This is where travel hacking comes into play. credit card rewards can help here. –Christmas gifts (November to January is expensive compared to other months) – It’s all in the planning. And gifts /= lots of money. –School expenses – band, sports, school pictures, prom, graduations – Now, these can be costly, but again, long-term planning and some side savings can help here. Volunteering can offset a LOT of these costs. –snowboards/skis (living in the west, right?) – Not required. –cost to visit ski resorts – Not required. –clothes and shoes – Hand-me-down, and buy-nothing Facebook groups. Huh? I don’t get it… are these items not required in the Rockies either? If OP is into skiing/boarding, gear will have already been acquired. For the passes, it can get expensive ($379 per adult for annual pass), but again, this is all assuming their lifestyle. Assuming they want to go this route, they will need to save another $25,000 (25 x $1,000 annually) or so, which can be done in less than 6 months. But yes, they definitely need to consider these activities in their FI budget. No — all of those things and activities are not required, but as a parent, you want your child to have the same or similar opportunities as his/her friends. So the cost of children can vary depending on where you live, whom you choose to socialize with, and your willingness to buck or conform with the rest of the community. If most kids in your neighborhood/school play unstructured games outside all day — your family will gravitate toward that kind of play time. However, if you live in a Tiger parent community, you will feel enormous pressure to get your child involved in music lessons, organized sports and other activities all of which require fees and lots of driving, not to mention special clothing and equipment each year as your children grow. None of this is required for survival, but it’s important to be realistic about how much you can resist social pressures, particularly when it comes to your children. –console game boxes – believe it or not, we don’t have one of these. We’ve talked about it. He’s begged for it. We’ve scoured craigslist and told him to save up for half of it. Still, he doesn’t want it ENOUGH to wash cars for the money to buy half. –birthday parties – we’ve had a few of these. But really, the best birthday parties I’ve found are just inviting friends for a sleepover or the park. It limited the cost by a bunch. If you have a party at “a place”, it’s $200, minimum (bowling, jumper houses, etc.) If you have a party “at a park or your house”), it’s the cost of some homemade pizza and/or pancakes for breakfast. –trips to amusement parks – you know, we are considering a trip to Disneyland, for his birthday, but haven’t pulled the trigger. I’m really not into amusement parks. I’ve found that there are cheaper amusements. Disneyland for four is $360. Legoland for 4 is $284. Knott’s berry farm is $164. (Can you tell I live in California?) The local water park is about $75 for four. Camping at a local beach is about $10-$45 a night. –Christmas gifts (November to January is expensive compared to other months) – this year I hand made their gifts, they were thrilled. –School expenses – band, sports, school pictures, prom, graduations – Soccer costs about $200 a year, school pictures $0 to $35 a year. –snowboards/skis (living in the west, right?) – we don’t really ski. My husband does, but we’ve officially gone skiing 3 times in the last 18 years (1998, 2009, 2012). If you don’t have the money, you just don’t go. –cost to visit ski resorts – or you could just not ski, or make it an “every four years” vacation. –clothes and shoes – hand me downs are great for that. –medical with insurance doesn’t cover the co-pay or the 20% until deductible is met. – Yeah, I like having medical insurance. I’m not really trying to be snarky/ nit picky. I live in the west, we both work, our income is slightly above their income. The things that you list there as expenses? I see a fair number of my friends (but not all) spending on those types of things. But they simply aren’t necessary. I am a big “vacationer”. I love travel. I’ve been to Hawaii 5 times, Europe twice, the Caribbean. I like to visit San Diego, Yosemite, San Francisco. We live on the opposite coast from our families and visit them too. The last six months I haven’t traveled at all (not since early July, so even longer than that). You know what? I’m actually happier than I’ve been in a long time. No crazy drives and long waits in amusement parks. No plane trips. No crappy hotel buffets. Instead, we’ve spend our time off going to the drive-in theater, going to the park, going to the beach. None of my kids have cell phones. In fact, I don’t have one either. But, I do confess to having internet. I think the list a bit excessive. But I don’t mind working if it matters to make ends meet a few years more. Also I don’t mind working part-time. I am down with the MMM philosophy and all, and really aspire to early(ish) retirement, but $24,000/year for a family of 5 is insanely low for my tastes. Those (potenttially) three kids are going to eat half that sum a year when they are teenagers. Good luck with that one. I think a budget should include categories for gifts, car repair, car replacement, home repair, appliance replacement, medical copays, vet bills, school expenses and vacation. Money can be added to those categories each pay period. If you don’t have that built into your monthly budget you need to dig into your savings each time something comes up and that will deplete the nest egg and ultimately will decrease the 4% withdrawal amount. A monthly budget should not be barebones since the slightest extra expense will cause a problem. A monthly budget should actually have a little savings built into it because at age 40 you don’t want to touch your savings. I’d like to live on what we live on now minus the mortgage so $35-40k comfortably. I also don’t mind working part-time to cover expenses. I read that and my eyes watered. From what I can get from that, she no longer likes where she lives a small townhome (3 bedroom! 2 1/2 bath!) their commute takes 30 minutes, she wants to have another child. She wants them both to retire. She wants to move to the East coast to the West coast. However husband is happy with number kids have, not unduley bothered by commute, and likes his job. Perhaps couples counseling would be more in order than shopping for houses. I think she thinks the only way to afford or convince hubby to have additional kid, is to move to somewhere lower cost. However, if they moved somewhere on the West coast that he could still usefully commute to as a job, the housing and other prices will not be appreciably lower than where they are already living. If they commit to a place farther out, it may be difficult for him to work. And it also looks like her goals conflict (additional child plus larger detached house plus retire now) while the husband may actually have a more responsible perspective on the situation. She actually says that the husband DOES want a third child–but that he doesn’t think they can afford it. It seems like almost a nonsensical position to me given how much money they have! They seem to be in disagreement about how to make ends meet permanently. His solution is to skip that third baby and hers is to move. The OP seems to mention that she could be happy moving somewhere besides the Pacific Northwest, and maybe that’s something they could explore– are there other cities, such as Minneapolis (very bike friendly) or Charlotte, NC (very inexpensive real estate by my lights) that could broaden the conversation? The husband likes his job– what does he like about it, and can he transfer that enjoyment somewhere else where his income-to-other-expenses ratio will increase substantially? Fiscal independence could allow him to choose to continue to work or not– as he pleases– but he may fear letting go of the opportunity to do the work he enjoys. All that said, we have recently said goodbye to two really terrific families who have decamped to Portland for better family/work balance, and they love it– they went there with positive friendly attitudes and good jobs in hand (they’re medical folk and unlikely to choose retirement in the near term), and all we hear are good reports. Interesting to think about. Exactly. We both want a SFH. But DH’s long term answer is to not have a third he’d like too versus having a third. He doesn’t necessarily want to move further out so he’d prefer to afford $1M home and I go to work and we struggle to make the mortgage so we don’t have to commute so far. I’m not sure that’s the best solution to our problem. Work more to buy more expensive home???? 15-20 miles outside of Seattle often means a very long drive into Seattle or even anywhere closer to Seattle. Seattle traffic is awful. Edmonds, Shoreline, Lynnwood, Monroe…extremely less bike-able than a true Seattle neighborhood like Greenwood, Ravenna, Capital Hill, Queen Anne. But $250k wouldn’t get you anywhere in those neighborhoods. If your dream is to live in Seattle or Portland and you end up in Monroe…well, these are very very different end points. Different culture entirely. Now if you are the kind of person that chooses Monroe, I doubt you are interested much in the kinds of things the city of Seattle has to offer – so maybe the commute doesn’t matter. But in my opinion, Seattle proper offers pretty incredible opportunities for community and ways to spend your retired free time, so maybe it’s not to be missed. It’s mostly personal preference – just wanted to throw my two cents in. Totally agree. I live in Edmonds, love Edmonds, walk everywhere in Edmonds, shop in Edmonds, and take advantage of Seattle being 30 minutes away on occasion. I have a work-from-home lifestyle with small kids much like what with Case Study folks are setting up for and I adore living in my “hinterland” small town this way. But it is not Seattle up here. So good advice: know what you are getting into. Monroe is very far from Seattle in many, many ways. Ugh, please do not move out to the nether-regions of Seattle. I know houses are cheaper there, but they are ruining the area. By buying a house in Monroe, Snohomish, etc, while still desiring access to Seattle proper you are contributing to the relentless sprawl that is DESTROYING the same scenic beauty and nature which attracts you here in the first place. The greater Seattle metro area now has a similar land footprint to Phoenix, and has a very similar car-dependent culture. The reason houses in those areas are cheap is because they do not come close to paying the full cost of their existence. Good deal for you, bad deal everyone else and future generations. If you are retiring young, work a couple more years until you can afford an urban dwelling place — and by ‘urban’ I do not necessarily mean a large city — and use your free time to advocate for the adoption of urban growth boundaries, walkable cities, and good urban development codes. If they buy an existing house, they are not contributing to the relentless sprawl. And sprawl isn’t so much an individual problem as it is the government policy that allow it. Generally, if it is built, people will come. Government okays development so for those against sprawl, convince government not to allow it. In California towns way east from San Francisco build houses faster than the state can build roads for the commutes. Government approves those developments and desperate people willing to commute 1.5 hours one-way buy in those developments, but still it is the government action that comes first. Wanting to live outside the city vs. inside it seems a very important question that has a lot more to do with the sort of early retirement they want to have rather than how much they want to spend. Also, I wonder if the numbers are closer than you think. I notice that you zeroed out the costs of cars… I’d be very surprised to find that they don’t have to replace their cars at least once in retirement or at least spend a lot repairing them. Inside the city, they can largely go without cars. I just want to briefly throw out a plan for free college educations. The University of Wyoming has in-state tuition of about $4,400 per year. When your first kid graduates from high school I’d have them move there for one year and work and then start college as they would then qualify for the $10,000 a year tuition reduction as an in-state resident. I like real estate so I’d buy a home or duplex and have them put some work into it and rent it out to student roommates. They would learn how to manage a property and have a place to live. They could even have some income for living expenses. Then I’d have your next kid move right in and follow the same plan. And so on and so on. Then when your final kid graduates, sell it. Your kids will get two educations. One from the University and one in investment real estate. Buy well and you could end up with three free diplomas and no student loans! My family of 4 with kids ages 5 and 7 moved to Seattle last year. We’re nowhere near ET but have always lived a close lifestyle. We’re working on higher income for my husband now while I homeschool the kids. We lived in a tiny apartment by Green Lake last year and had a blast transitioning to walking everywhere and going to the parks 2-3 times each day. Now we moved a few miles up to a 1200 ft townhome by other great parks. I really love teaching our kids to bike on these streets, having access to the Burke-Gilman all summer, and easy access to the Zoo and Aquarium. For us, the daily lifestyle and changes like biking that we are working on make this high rent worthwhile. We’ll look at more changes in a few years as our kids develop independence and my husband has more assured job security. It sounds like they could compromise by renting for a year. Then they could check out the area and the commutes for the husband. It would be easy to take trips to Portland, Bellingham, and other places. I want to do that. Rent and consider. But my DH isn’t excited about the prospect of moving without a job. What a great situation to be in – loads in the bank, living frugally, but yet he loves his job. It sounds like the couple just needs to figure out their priorities as a couple/family and move towards those priorities. When they’re both working in tandem, magic happens.